One of the common questions asked by patients who are planning on undergoing a hair transplant surgery is whether a hair transplant can be performed without shaving the head. Hair transplant without shaving (Unshaven Hair Transplant) is actually something that people would really prefer before undergoing the operation. As individuals, we often tend to see our hair as a reflection of our identity, influencing the way we define ourselves; therefore, it is not at all surprising for a person to be reluctant on shaving his/her head when considering a hair transplant. Some people have even changed their minds when they were told that their head had to be shaved prior to a hair transplant procedure. As Dr. Serkan Aygın Clinic, we conducted a research so as to shed light on this special issue and testify whether it was possible to undergo such a hair transplant. Fortunately, it is no longer necessary for an individual to shave his/her entire head prior to a DHI procedure, as patients are now offered to choose between four options, consisting of; ‘fully shaved-both donor and recipient sites’, ‘shaved-only the donor site’, ‘partially shaved’-only an undetectable small area in the back of the head’ and if applicable, a ’complete unshaved’ session. The fully shaved hair transplant procedure is the most commonly used method among all options. It is a technique where both the donor area and the recipient site is shaved. 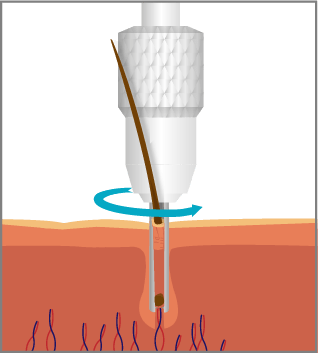 The second option is a hair transplant technique that only requires the donor area to be shaved. As the remaining two options; partially shaved and complete unshaven hair transplant constitute the backbone of this article, we will focus only on the latter two methods. Before we proceed further with our discussion, we would like to clarify and emphasize some important points on our topic. Unfortunately many individuals have fallen in the trap of some hair transplant clinics, who mislead people into believing that they will receive certain treatments that do not even exist or are still impossible to conduct. A clinic that does not actually perform a hair transplant without shaving, may falsely promote that they do and once the patient arrives at the clinic, they will tend to persuade him/her to undergo a standard hair transplant by explaining the complications and difficulty associated with an unshaven hair transplant session. 1. It is a technique where the head is ‘partially’ shaved, however concealed. The term ‘unshaved’ is used to indicate that a small area in the donor site will be shaved but will totally remain ‘undetectable’. 2. A ‘complete unshaved’ hair transplant, which is a procedure where shaving the donor area for the extraction of follicles is totally eliminated, keeping the hair intact. Hair Transplant without shaving. It is important for the patient to be aware of the limitations associated with both of the ‘unshaved’ sessions and to seek consultation from a qualified surgeon to determine if he/she is a good candidate to undergo such a procedure. For example if the patient has experienced severe hair-loss, particularly in the vertex area and requires an excessive amount of grafts (around 3.000-4.000 grafts), his/her head will be completely shaved. The decision is generally made during the planning stage of a hair transplant procedure after the patient has been examined by the physician. Patients with longer hair that require approximately 2800 grafts or less for their hair transplant could be an good candidate to have an ‘partially-shaved’ session, also referred as linear shaving, which is performed at the back of the patients head and is either in small lines or in square shape, positioned in such a way that it enables the hair above to fall over and easily conceal the shaved spot. As it is important to provide sufficient coverage, the doctor may recommend the patient to grow his/her hair slightly longer at a length of 6-7 cm prior to the hair transplant procedure. Patients can maintain their original hair in the same style as well as length, during and after the procedure. Allows patients to return back to work shortly after their treatment without revealing they have undergone the procedure. As the number of grafts that will transplanted is fewer, overall recovery time can be shorter. Post-operative scabs and crusts formed in the donor area will not be visible. This procedure can only be performed on patients who wear their hair long. Fewer number of follicular units can be harvested during any one session. The treatment may require multiple sessions in order to achieve a desirable outcome, however there must be an interval of at least 6 months between 2 sessions. There is the risk of over harvesting as the donor area is limited to a small section. Overall procedure cost is higher. In cases where the patient’s hair is weak and there is the possibility to perform procedures between hair-strands, especially if hair-loss is limited to the anterior region or only a small area needs to be harvested, typically up to a 1000 follicular units being sufficient for the coverage of hair loss, then the doctor may consider to perform a complete ‘unshaved’ session. In a complete ‘unshaved’ hair transplant procedure during the extraction process, a round-tipped rotary punch-generally with diameters ranging between 0.7-0.95mm- is utilized to score around the hair follicle and is rotated a full repetitive 360-degree cycle during penetration of the skin in order to separate it from all tissue attachments. Once the individual follicular units are extracted with the hair remaining at its normal length, they are then cut down to the root. After the strands of hair have been cut off, the implantation process begins, using an choi Implanter pen (DHI Technique), with the grafts being transplanted within the existing hair one at a time into the thinning or balding areas of the scalp. As with any other hair transplant procedure, the patient will still be experiencing shock loss-temporary shedding of the newly transplanted hairs-within the first few weeks after a complete ‘unshaved’ session. The patient is required to have long hair similar to the partially shaved hair transplant procedure, however the length can be shorter than 6-7 cm. Post-operative scabs and crusts formed in the donor area will hardly be visible. It is a labour intensive and meticulous procedure that requires excessive training, experience and skills of the operating surgeon. The number of grafts that can be transplanted in one session is limited therefore, the density of hair a patient can achieve is lower. Even though the patient gets a pre-look right after the procedure, the transplanted grafts will fall out between the 2’nd and 4’th week following the surgery. It is more time consuming than other hair transplant techniques. 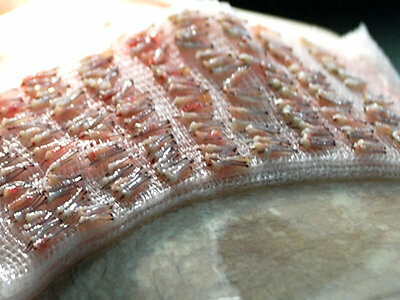 Due to its labour intensive nature, it can be more expensive in comparison with other methods. As Dr. Serkan Aygın Clinic, since 1996, we have been performing exclusively on hair transplant procedures. Women and men with long hair constitute the vast majority of patients for the partially-shaved as well as the complete unshaved hair transplant procedures. 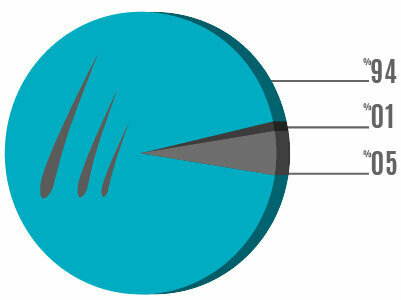 94 percent of the patients undergoing a hair transplant favor to shave their head prior to the procedure. 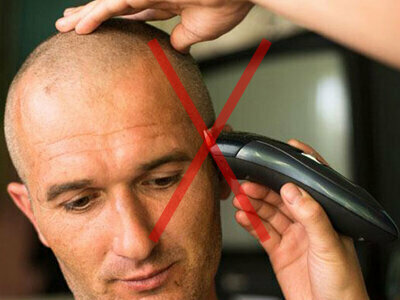 4 to 5 percent of the patients undergoing a hair transplant favor to partially shave their head. And, lastly, if we look at the those who favor to have a complete hair transplant without shaving, we can say that they constitute less than 1 percent of all patients. Some patients who have undergone a hair transplant without shaving their head, express that they were satisfied with the results, however admit that it might have been better if they had shaved their hair down. Unless a complete unshaved session is the only option to select, surgeons who are skilled and experienced in conducting procedures without shaving, generally recommend their patients to shave their hair prior to the operation. As the number of grafts that can be transplanted with a hair transplant conducted without shaving is limited, which will eventually have an impact on the natural appearance, shaving is considered to be highly significant for a hair transplant operation. If you would like to receive more information or schedule a consultation, you can always contact us.